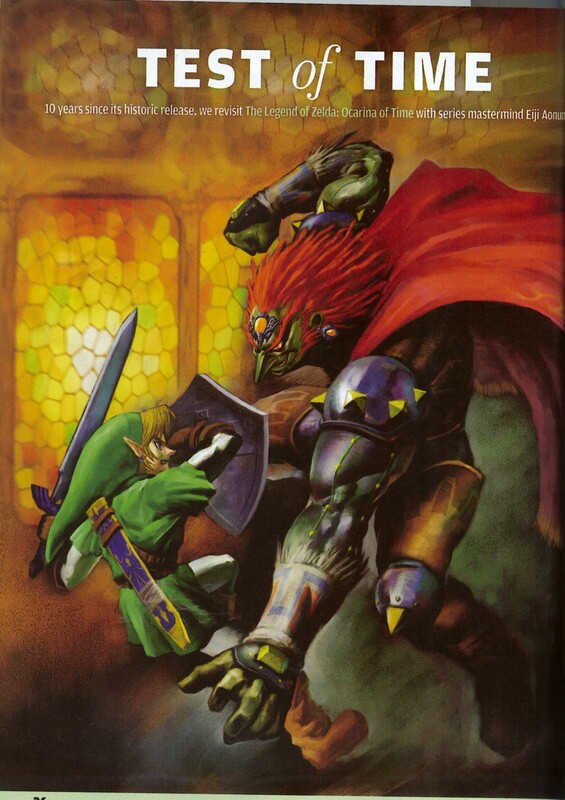 What made OoT the way it is? Why has the game game been able to last as long as it has at the top of all games for the last 10 year? 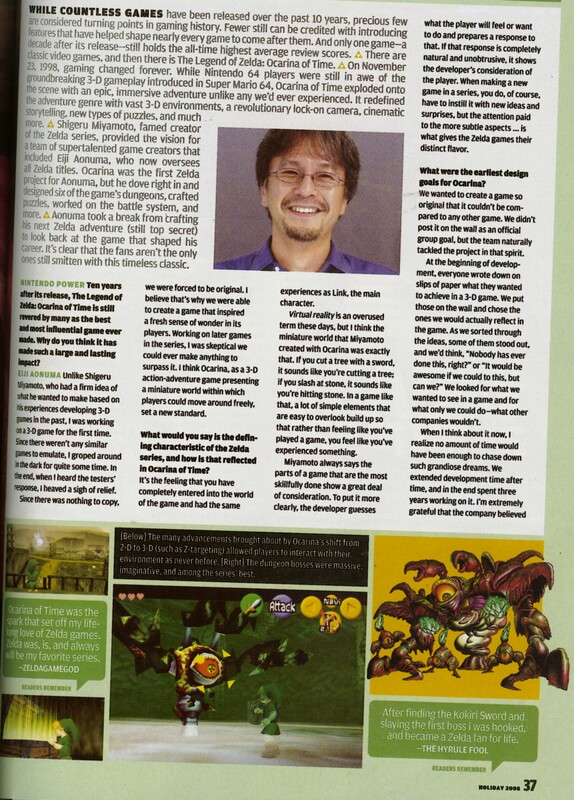 Mr. Aonuma has all of those answers and more. 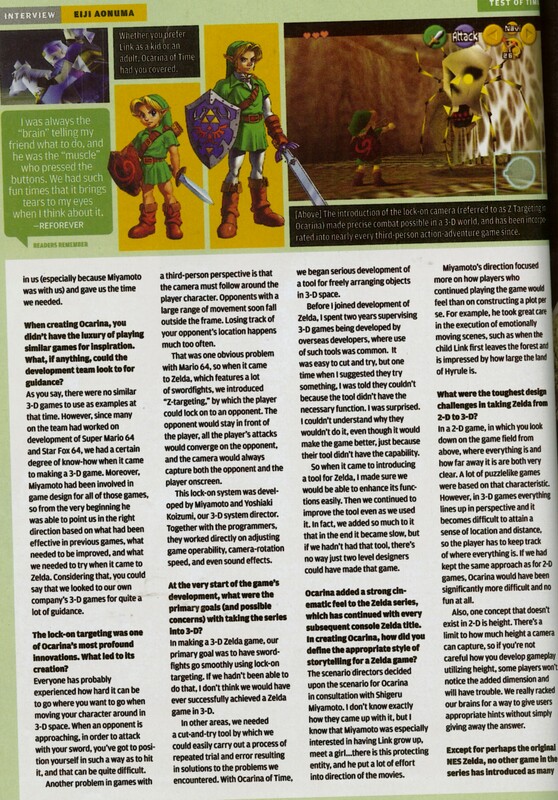 He sat down with the people form Nintendo Power, and talked about his experiences with OoT, and how it was unique to him. Click on the scans below to open them in a new window to view them full sized. 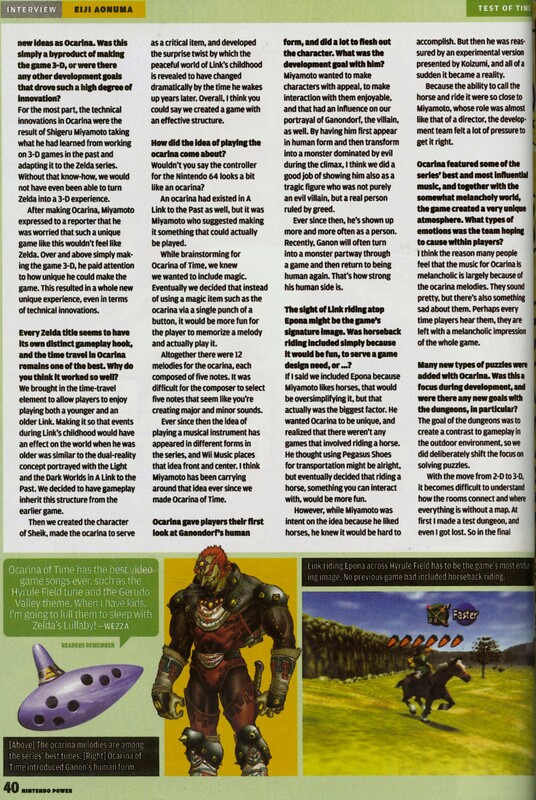 It really is a good read for those of you wanting to find out even more about the #1 game of all time. What if that day never comes, Eiji?